On Friday evening we invited out to Kalashnikovv Gallery in Braamfontein for a night we were not quite expecting. Nasty C was previewing 3 music videos for his single, SMA, featuring Rowlene. The outstanding thing about the evening wasn’t the fact that Nasty C dropped 3 music videos for SMA though. I suppose the great thing about the evening was Nasty was letting us into his life, his music and his art. The event was held at the Kalashnikovv Gallery at the heart of Braamfontein. A space that is not only reserved for the “professional” artists and art snobs but it also caters for people who are breaking grounds in their fields. And for people such as ourselves who are not art buffs, we appreciated how welcoming the space was. 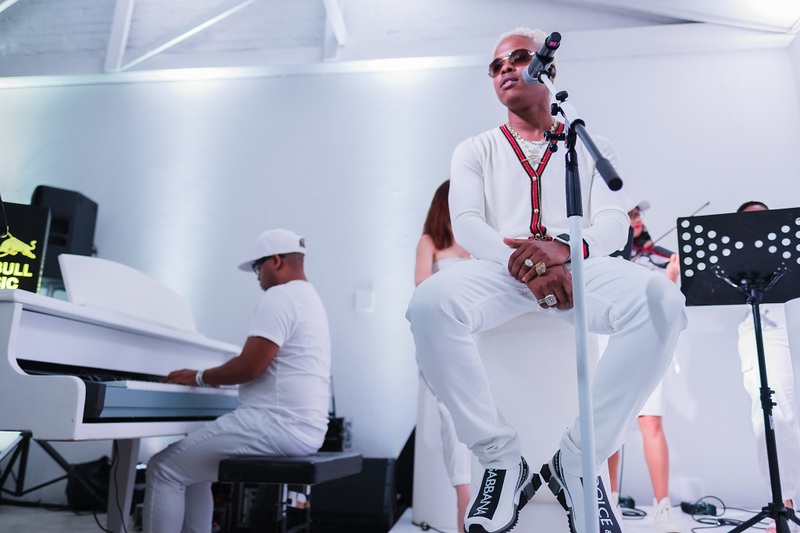 This space was the perfect canvass for Nasty C’s intimate evening. Nasty C shared with us his upcoming projects with internationally renowned producer, No I.D. We were treated to an in-depth interview which was done by rapper, presenter and all round creative, Kabelo Moremi. He was a gracious host and helped to put into context the intention of the evening. Nasty spoke about his critically acclaimed album, Strings & Bling. Nasty also shared with us how the collaboration with T.I really made him feel the first time he realized what was happening. And also how the song he made with T.I will be on his upcoming EP which he is working on with superstar producer, No I.D. The young king is indeed making major moves. Lastly we were treated to an intimate performance where Nasty serenaded us with a handful of hits from the album. He performed SMA and Strings & Bling among a few others accompanied by a grand piano and violins. It was an amazing evening. Look out for the video of the event coming soon. And peep the rest of the images below taken by Mpumelelo Macu on behalf of Redbull. Peep music video for SMA below!